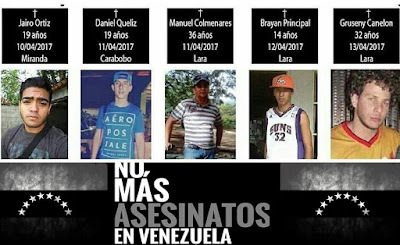 The situation in Venezuela continues to deteriorate as the Maduro regime announces that it will leave the Organization of American States to avoid having its anti-democratic behavior called into question as it's repressive forces kill more students. Juan Pablo Pernalete, a 20 year old college student majoring in economics, was shot and killed by Maduro's Bolivarian National Police on April 26, 2017 and a day later thousands took to the street to honor his memory. 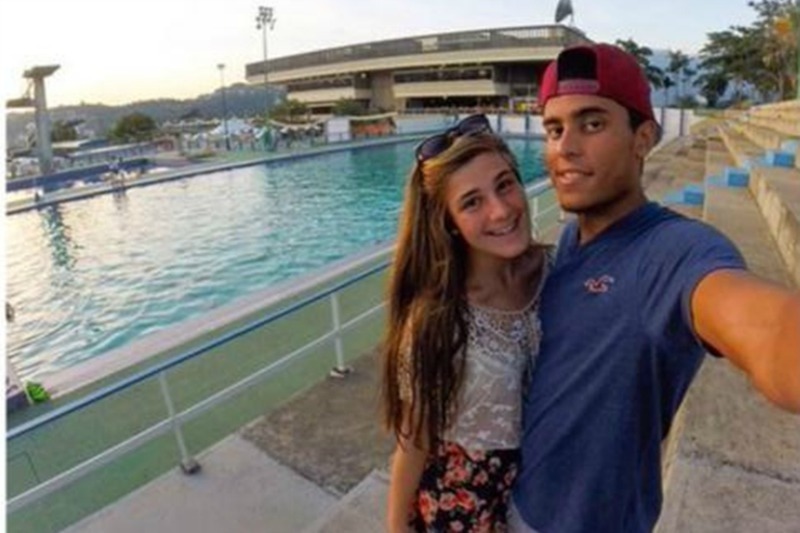 Juan Pablo was a youtube sensation who had a presence on twitter with a photo of his girlfriend, Fabiana Marchesini, who now mourns for him. 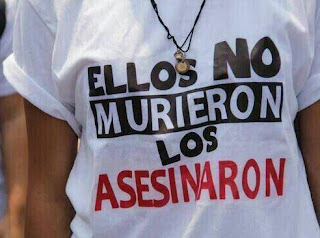 The killings are meant to terrorize and break the spirit of the young protesters. 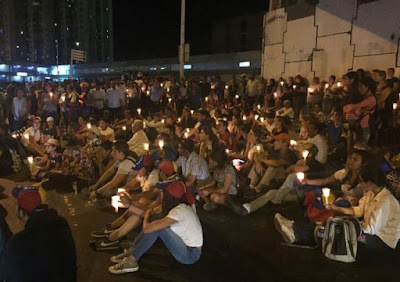 Maduro and his Cuban handlers have apparently misjudged the situation and a child of a prominent regime official has taken to the streets and to social media to call out his dad to do the right thing and denounce the violence. The narrative of the Castro and Maduro regimes in Latin America that all the evils of the world are due to the United States is breaking down before the cruel reality both are inflicting on Venezuela's youth in the name of 21st century socialism. 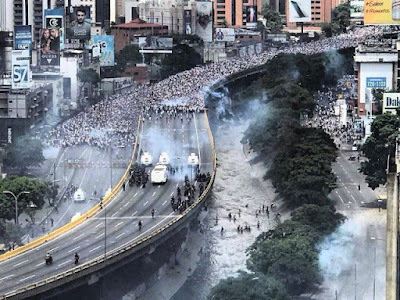 The nonviolent struggle by the student movement in Venezuela is shaking the pillars of power of the Maduro regime now is the time to step it up not abandon it. Maduro and his Cuban masters know how to deal with violence, but are at a disadvantage confronting a nonviolent opposition. In the debate over U.S. - Cuba policy the discussion often times pretends that the crimes of the Castro regime are a thing of the past. This does not reflect the current reality of living in this communist country. Fidel Castro died on November 25, 2016, but his equally ruthless brother Raul Castro had already been in charge since July 31, 2006 when Fidel became deathly ill. General Raul Castro formally took power on February 24, 2008 and repression worsened. Cubans who did not sufficiently mourn Fidel Castro's death were arrested and jailed. 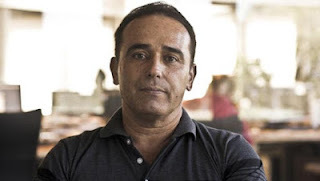 Cuban physician Eduardo Cardet, jailed since November 30, 2016, was sentenced to three years in prison in March 2017 for giving a critical assessment of Castro's legacy. 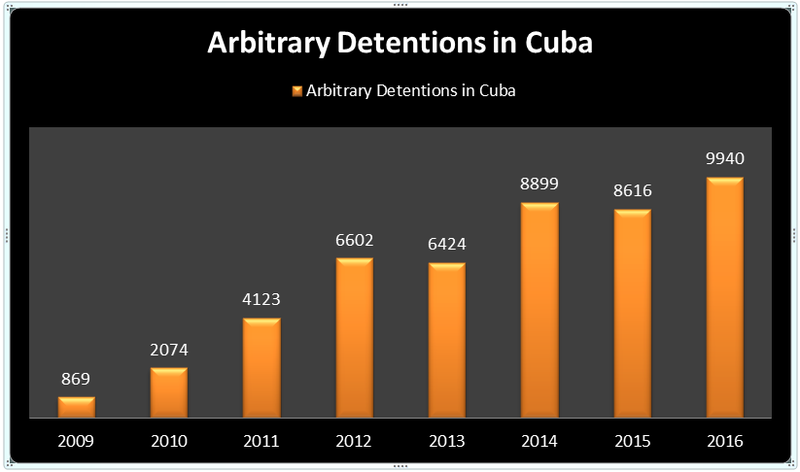 During General Raul Castro's tenure politically motivated arbitrary detentions of opposition activists increased exponentially, along with political violence, and the murder of prominent dissident leaders. In 2016 there were new prisoners of conscience behind bars and 9,940 politically motivated arbitrary detentions over the course of the year. By comparison in 2009 there were 869 arbitrary detentions documented. Religious repression escalated in Cuba in 2016 including the beating of pastors, the confiscation of Churches, some were demolished by the dictatorship. 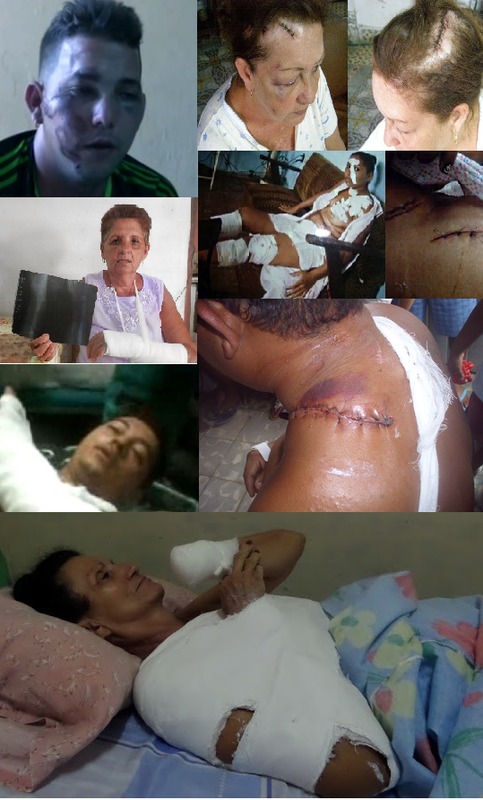 Rising violent repression against political dissidents in Cuba, including crippling and disfiguring machete attacks, became a high profile regime tactic starting in 2013. 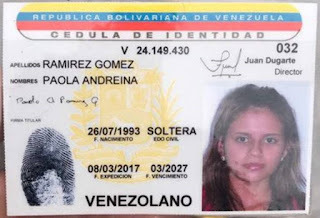 The case of Sirley Avila Leon in May of 2015 is well documented, even if it is not widely well known. 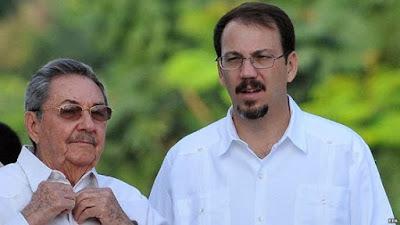 The murder of prominent opposition leaders such as Orlando Zapata Tamayo in 2010, Laura Pollán in 2011, Oswaldo Payá Sardiñas, and Harold Cepero in 2012 happened under General Raul Castro's tenure. Refugees have been killed trying to leave Cuba, shot in the back by Castro's secret police, as recently as 2015. All of this is attributable to dictatorship, but Cuba is also a communist regime which claims that there is common ownership of the means of production. The claim is that under communism all is shared but in Cuba one sees that misery is shared but not by all, a wealthy politically connected minority live in luxury while the majority suffer. The difference from a capitalist regime is that in Cuba complaining about it is punishable under the law. 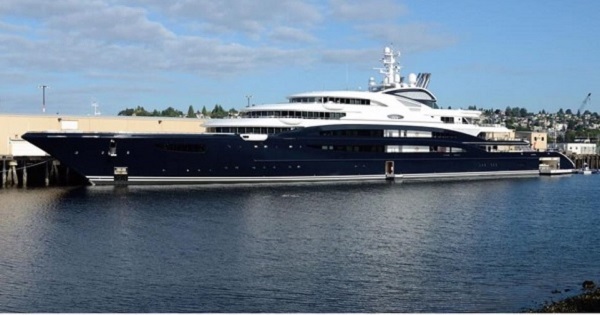 Fidel Castro's son Antonio Castro visited Greece in this 160 foot yacht with five suites. For example, Fidel Castro's son, Antonio Castro was photographed in Turkey in June of 2015 when leaving a restaurant he had his bodyguards beat up the reporters and try to take their cameras. Antonio Castro had arrived on board his 160 foot yacht from the Greek island of Mykonos and booked five en suite rooms at a luxury hotel for himself and his entourage. This lavish lifestyle does not come cheap. The Castro regime exports workers abroad and gets billions of dollars a year with this practice. In 2014 the Cuban dictatorship forecast "$8.2 billion from sending doctors and nurses abroad." In order to achieve these results the health workers are paid miserable wages and as a result some defect, and are denounced as traitors. However it is true that the Cuban economy is centralized and controlled by the government, with most of it controlled by the military. Both healthcare and education are monopoly controlled by the Castro regime, private schools were prohibited in Cuba at the start of the revolution and continue to be today. But what does this mean in practice for Cubans? 2014 and 2015 analyses of the Cuban educational system find that nothing has changed: lack of quality, resources and continued politicization of the curriculum in the island continues. The health care system also leaves a lot to be desired. Medical neglect led to scores of psychiatric patients dying of exposure and hypothermia in 2010. Outbreaks of cholera across Cuba in 2012 -2013 points to systemic problems with the healthcare system. Furthermore, arresting medical doctors and independent journalists to cover up epidemics should raise alarm bells in the international community. Since the collapse of the Soviet Union and its massive subsidies ended both the education and healthcare systems in Cuba have deteriorated. Nevertheless access to both have under the Castro regime always been contingent upon political loyalty to the dictatorship. Fidel Castro announced over 50 years ago that the universities are for revolutionaries and in practice this has meant that those who do not pledge their loyalty to the dictatorship face not getting into university at all or being expelled. This still happens in 2017 under Raul Castro. 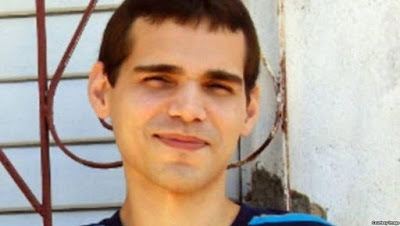 24 year old David Mauri Cardoso was expelled from the University of Cienfuegos in Cuba in February of 2017 after he honestly answered politically loaded questions in what was supposed to be a Spanish literature exam. 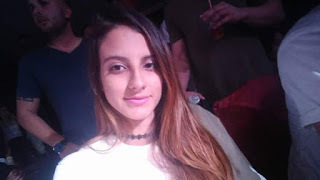 18 year old Karla María Pérez González, a journalism students, was expelled from the Marta Abreu Central University on April 12, 2017 in Las Villas Cuba. 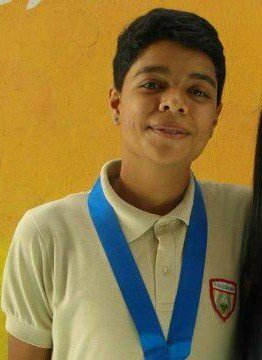 She is a member of a youth movement Somos+ (We are more). Healthcare is rhetorically universal but in practice can be withdrawn or refused on the orders of the Castro regime and its secret police. This was case of Cuban dissident Sirley Avila Leon, a former government official, she was purged for trying to keep a school open and was the victim of a politically motivated machete attack in 2015. She was not only denied adequate medical care but was prescribed treatment worsening her condition. This practice goes back decades and has cost the life of more than one human rights defender. Doctors told her quietly, risking their careers, that if she wanted to get proper treatment that she would have to get it outside of Cuba. She was left a complete invalid. After fleeing to Miami a year later over the course of six months of physical therapy she was able to regain the ability to walk. It is said that in communist regimes healthcare and education are free, but in reality the price of both are far greater than in non-communist countries because the cost is your freedom, and if you dissent possibly your life. Fidel Castro is long gone but his brother, now dictator is apparently grooming his son, Alejandro Castro, a colonel in the secret police as a successor. Cuba is a communist dictatorship where dynastic succession, within the Castro family, is reminiscent of another communist dynastic dictatorship, the Kim family in North Korea. This reality of living in Cuba today is a nightmare that is the cause of the exodus of Cubans out of the island. At the same time it is the reason that many have also stayed to fight for change in Cuba risking their lives. 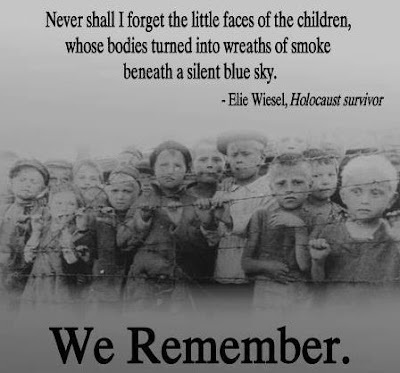 We must never forget what happened and remain vigilant now and in the future to battle against the mass destruction of innocent human beings. Unfortunately the international community has failed more than once since 1945 to prevent another mass slaughter. Cambodia under the Khmer Rouge murdered between one fourth and one third of its population between 1975 and 1979, civil libertarian Nat Hentoff pointed to another genocide that could have been stopped in Rwanda in 1994, and today we are witnessing another in Syria where religious minorities, including Christians are being targeted. 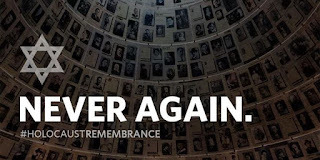 Today it is also important to remember that antisemitism is on the rise world wide and people of the Jewish faith need our solidarity and support in confronting rising hatred and intolerance to ensure that what Nazi Germany did never be repeated. 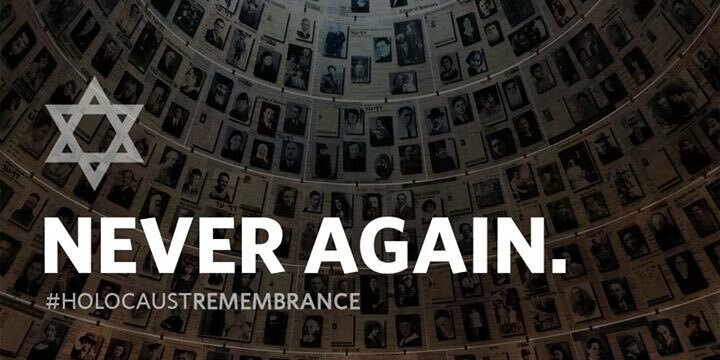 At the same time it is important to remember and honor the martyrs and heroes who resisted the Nazis. They are exemplars in moral courage that are much needed today. "No more murders in Venezuela"
The Maduro regime is killing young Venezuelans in order to provoke a violent response for the opposition. It is a trap for the opposition as was seen in Syria. A civic movement abandoning nonviolence and fighting the regime militarily is taking the fight to ground where the dictatorship has the advantage. 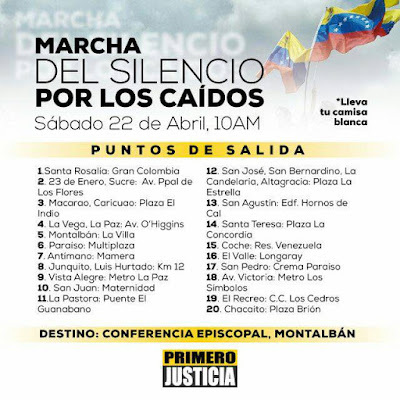 Rather than falling into the trap, nonviolent opposition is organizing a nonviolent silent march later today to remember those killed and demand justice. 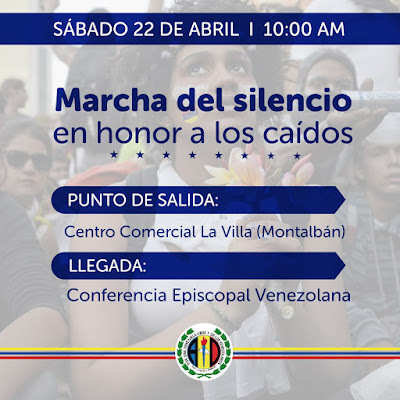 "Silent march in honor of our fallen"
Mobilizing millions of Venezuelans to nonviolently resist the Maduro dictatorship has a better chance of forcing a democratic transition and the ouster of the regime. The alternative would be civil war and the odds are it would lead to the permanence of the Maduro regime with the aide of Cuban soldiers and intelligence assets. 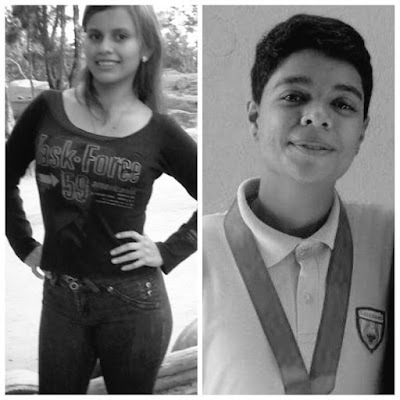 Paola Ramírez and Carlos Moreno both shot in the head on April 19, 2017 in Venezuela. Beginning on February 12, 2014 regime agents shot Bassil Alejandro Dacosta, age 24 in the head. One of the young students who carried Bassil off after he was shot was Robert Redman, age 28, who reported later that day over twitter: "Today I was hit with a rock in the back, a helmet in my nose. I swallowed tear-gas, Carried the kid who died, and what did you do?" That same day he was also gunned down by Maduro's colectivos, working in concert with his security forces, and murdered. The killings continued. A high profile killing that shocked the world was the murder of a local beauty queen. 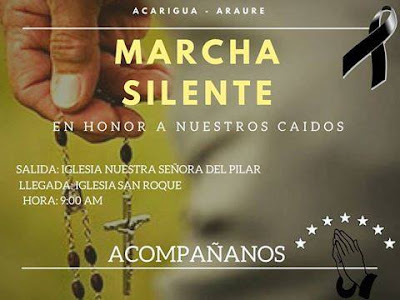 Génesis Carmona was marching at approximately 4:00 pm on Tuesday February 18, 2014, near Cedeño Avenue and the intersection of Carabobo, when a group of masked gunmen on motorcycles opened fire on the demonstrators. Génesis was shot in the head in the left occipital region. She was a model who had won the Miss Tourism Carabobo beauty pageant in 2013.There have been dozens more executed by Maduro regime agents in an effort to terrorize and either silence or provoke nonviolent protesters. Families of the victims have pursued justice and had some successes, but much remains to be done to end impunity and hold those responsible accountable. This morning beginning at 9:00am silent marches and rosaries will be held in Acarigua and Araure while an hour later marches will begin in other parts of Venezuela. Demonstrators are asked to dress in white. 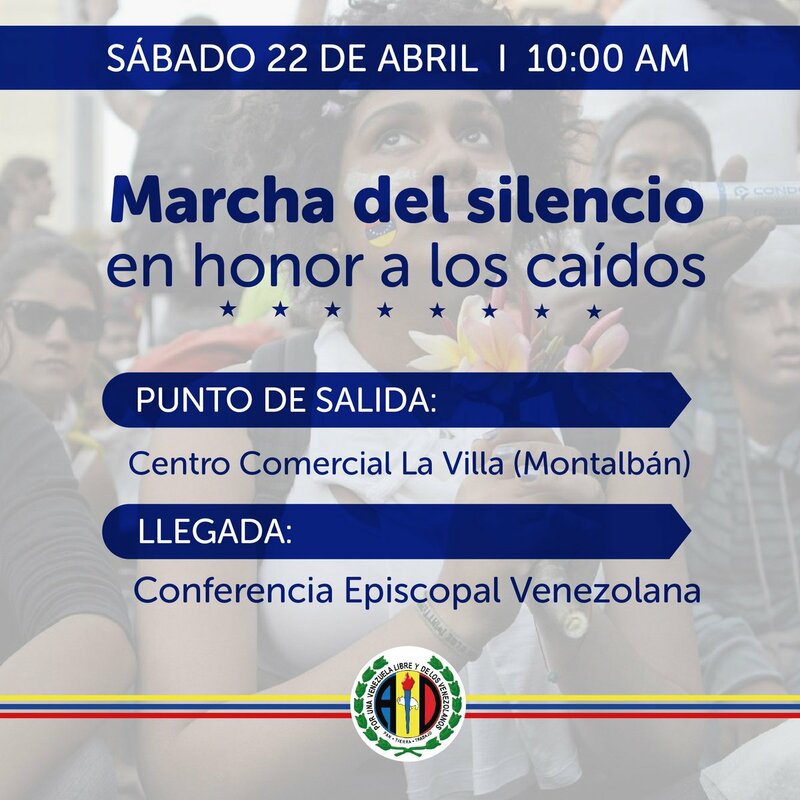 Those of us who advocate for nonviolence in Venezuela have an obligation to speak out and denounce the violence visited on non-violent opponents by the Maduro regime and their Cuban handlers. Those engaged in violence need to understand that sooner or later they will have to answer for their crimes in a court of law. "They did not die. They murdered them." 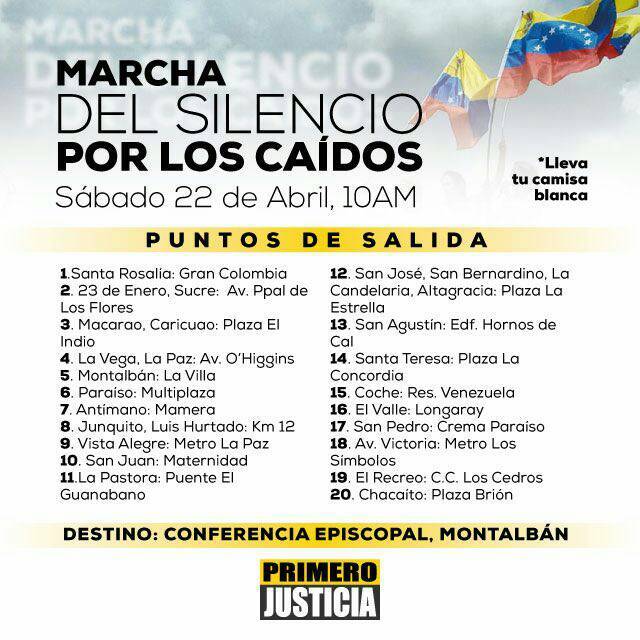 Please use the hashtags #MarchaDelSilencio and #SilentMarch along with #Venezuela and share pictures of those killed by Maduro. Tragically, there are many to choose from. They must be not be forgotten. 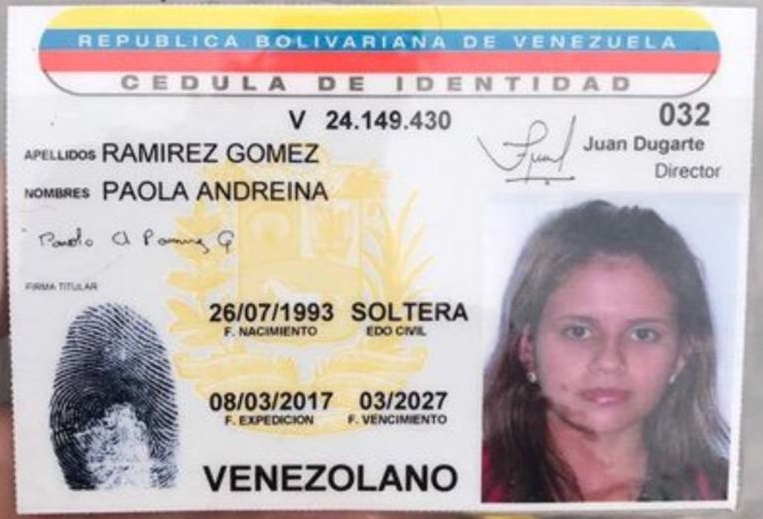 Venezuela's downward spiral to totalitarianism continues but millions of Venezuelans are doing all they can to resist it. 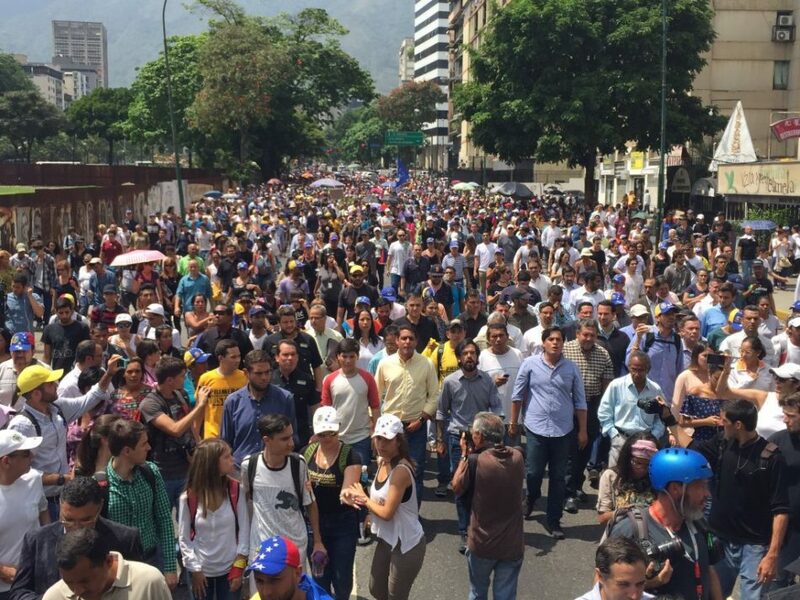 Hundreds of thousands took to the streets today in Venezuela in what was described as "the mother of all protests." Some have been killed today for standing up nonviolently for freedom and the rule of law there. A 17-year-old boy and a 23-year-old woman died after both being shot in head this past Wednesday. There names are Carlos Moreno and Paola Andreina Ramírez Gómez. This pattern can be traced back over three years. 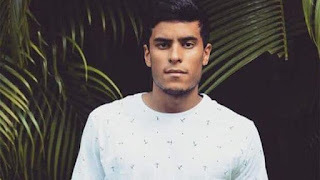 The Maduro regime has used terror gunning down students many of them shot in the head, beginning on February 12, 2014 with Bassil Alejandro Dacosta, age 24. A day earlier on social media he declared: "Gentlemen, he who is here will go out tomorrow to find a better future." One of the young students who carried Bassil off Robert Redman, age 28, reported later that day over twitter: "Today I was hit with a rock in the back, a helmet in my nose. I swallowed tear-gas, Carried the kid who died, and what did you do?" That same day he was also gunned down by Maduro's colectivos, working in concert with his security forces, and murdered. The killings have continued. Non-violent student protesters continue to be shot in the head in Venezuela. Meanwhile the Maduro regime with their Cuban handlers continues the transformation of Venezuelan democracy into a totalitarian dictatorship. Strategic non-violence is the best hope the opposition has to restore democracy in that South American country. However repeated mass protests since February 12, 2014 may have become the new normal. Repeating the same tactic over and over again allows the Maduro regime to develop new techniques of repression to more effectively counter it. This is not a call for violent action, but its opposite. There needs to be a diversity of nonviolent tactics, strung together in an overall strategy to restore democracy. Gene Sharp of the Albert Einstein Institute outlined 198 methods of nonviolent action. The international community was warned in 2014 that Venezuela would spiral out of control but it was not heeded. 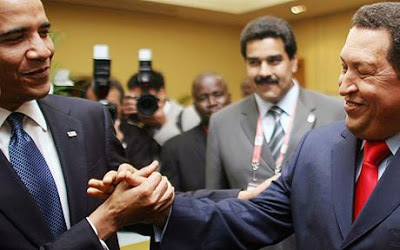 The Obama Administration embraced Nicolas Maduro and Raul Castro legitimizing both. 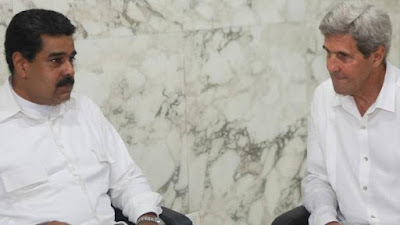 On August 20, 2015 Secretary of State John Kerry in an interview with journalist Andres Oppenheimer made it known that "the United States and Cuba are talking about ways to solve the Venezuelan crisis." In a blog post at the time I made the following comparison: "Secretary John Kerry asking the Castro regime in Cuba to help in Venezuela today is like asking Jack the Ripper to help stop knife violence in London in 1888." Taking a longer view, what is happening in Venezuela today is because the region's democrats failed to back democrats in Cuba in the 1990s preferring photo ops with Fidel Castro. Sadly the United States also jumped on that failing approach during the Obama Presidency accelerating the downward spiral. Fidel Castro is dead but the Castro dynasty continues plundering Cuba and preaching communism for thee but not for me. Fidel Castro's gone but when will the dictatorship he created follow him? Communism arrived in Cuba covertly in 1959, was implanted through lies, killing and terror, openly declared in 1961 and today continues destroying the island nation while enriching a communist elite. The full extent of the numbers killed in Cuba remains unknown but there is anecdotal and documentary evidence of mass graves. Summary and extrajudicial executions were widespread and well documented, especially in the 1960s. As was the case in Ethiopia, Ukraine, China and elsewhere farmers in Cuba's countryside bore the brunt of the terror between 1960-66 in the Escambray. To discuss the current state of communism in Cuba necessitates to place it in context. Communism is a totalitarian political ideology that over the past century beginning with the Soviet Union in 1917 has caused the death of over a 100 million human beings and ruined countless more lives. Wherever it has been tried in Europe, Asia, Africa and Latin America it has failed causing great hardship. This is also true for Cuba. Hannah Arendt understood that "the terrible originality of totalitarianism isn't due to the entrance of a new 'idea' into the world, but to the fact that their actions break with all our traditions; they have literally pulverized our categories of political thinking and criteria of moral judgement." This applies to communist totalitarianism. Nevertheless communists continue to have new opportunities to apply this model on other people. Which raises the obvious question of why? Other political systems have their highs and lows, moments of decadence or decline which creates an opportunity for new actors. But this does not explain how communists continue to be returned to power instead of theirs. This is because all too often history is rewritten and lies are passed off as truth. Morality and truth are both made subservient to achieving power at all costs and this is explicitly the communist way. Consider two examples set four decades and a continent apart. The first leader of the Soviet Union, Vladimir Lenin on October 2, 1920 in a speech to Russian communist youth stated: "The class struggle is continuing and it is our task to subordinate all interests to that struggle. Our communist morality is also subordinated to that task. We say: morality is what serves to destroy the old exploiting society and to unite all the working people around the proletariat, which is building up a new, communist society." Forty four years later Fidel Castro on March 26, 1964 echoed Lenin rejecting objective truth, using better marketing language, but the underlying "ends justify the means" is maintained when he said: "I conceive the truth in terms of a just and noble end, and that is when the truth is truly true. If it does not serve a just, noble and positive end, truth, as an abstract entity, philosophical category, in my opinion, does not exist." Self-restraint is a condition of freedom and recognizing that there is an objective truth that does not necessarily coincide with your agenda serves as a check on excesses and disastrous errors, but it also limits ones ability to politically reinvent themselves. Communists reject this out of hand believing that with Karl Marx's theory of class struggle that they understand the key to history and are not bound by anything outside of their struggle for power. 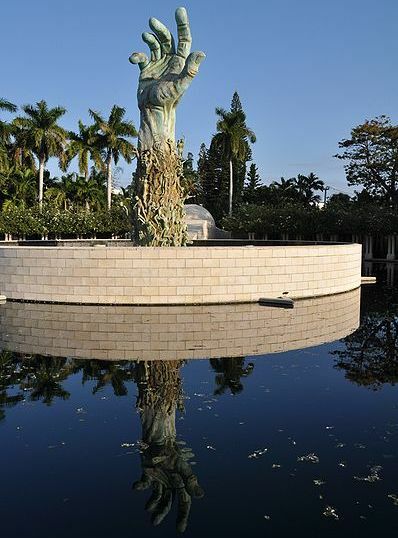 Twenty years ago at Florida International University I had successfully debated a group of communists, something happened afterwards that demonstrated the nature of communist morality. One of them approached me and credited me with doing a good job, but then he told me, "we will win because you are not willing to kill your own mother for your political convictions but I am willing to kill mine." It was an extreme statement and also half-true. Under communist dictatorships children were trained to spy on their parents and report on them to the authorities for signs of dissent. Some parents were jailed and others killed. In Cuba family members, especially in the 1970s, spied on their families and reported to State Security. This practice has been well documented in the former German Democratic Republic (also known as East Germany.) I believe it to be half-true because if they "win" - we all lose including him. The Khmer Rouge in the 1970s was the purest example of a "real communist revolution" and in the space of three years exterminated approximately one third of their entire population before being driven out of power. International Communism reached a historic low point in influence between 1989 and 1991 that began with the liberation of Eastern Europe and ended with the relatively nonviolent dissolution of the Soviet Union on Christmas day in 1991, but that was not the end of communism. Following the end of the Soviet Union it was Fidel Castro that was a source of inspiration for communist parties around the world. The hard left in the midst of this debacle regrouped in 1990 and began to meet and plan in the São Paulo Forum. The Castro regime was not only a founding member but was a leader of this network to resurrect international communism. There are two competing agendas in Cuba. 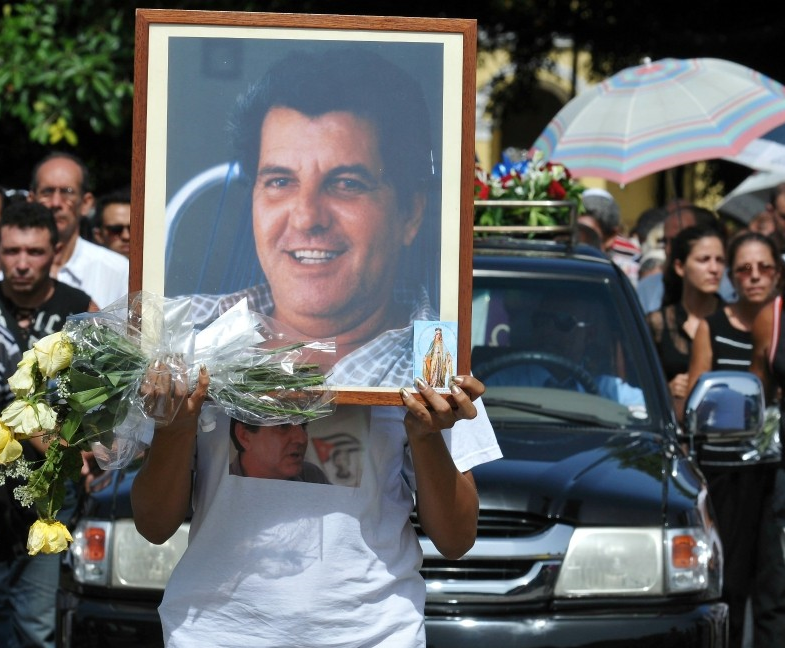 The Castro regime is trying to achieve a succession to continue Castroism under a new generation. Fidel Castro died on November 25, 2016 but the old tyrant had been a diminished actor for years with his brother General Raul Castro in charge since 2006 when the elder Castro became ill.
Vaclav Havel in his book The Anatomy of Reticence explains that "[t]he dissident does not operate in the realm of genuine power at all. He is not seeking power. He has no desire for office and does not gather votes. He does not attempt to charm the public, he offers nothing and promises nothing. He can offer, if anything, only his own skin — and he offers it solely because he has no other way of affirming the truth he stands for. His actions simply articulate his dignity as a citizen, regardless of the cost." 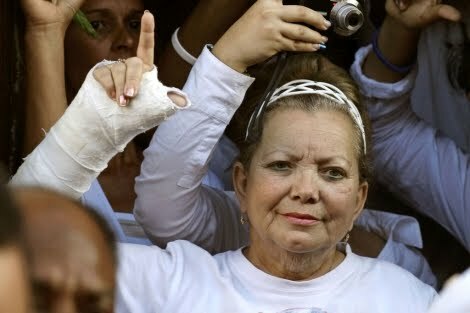 Cuban dissidents and opposition activists denounce human rights abuses, recognize that neither they or the regime represent Cubans, and are calling on the people of Cuba to exercise their sovereignty by empowering themselves to freely elect the kind of government they want, thus bringing an end to totalitarian communist rule in Cuba. Cuba has been under the rule of a totalitarian communist dictatorship since 1959. Only a few states in 2017 fit the definition of as totalitarian communist dictatorships besides Cuba. The others are Laos, North Korea, Vietnam and China. Although a number of countries are trending that way now in Latin America with Venezuela, Nicaragua and Ecuador leading the way but are not classic totalitarian regimes. The have opposition parties and to varying degrees an independent press. Under the Castro dictatorship only one political party is legally recognized in the Cuban constitution, the Communist party. Private schools were closed in Cuba in the 1960s and all is controlled by the government and students who dissent, such as gather signatures for a legal citizen initiative like the Varela Project are expelled. There are no legally recognized independent non-governmental organizations in Cuba. The economy remains under the control of the Castro regime. Any foreign investors must enter into partnerships with the dictatorship. Workers salaries are paid by foreign investors to a regime agency that in turn pays Cuban workers in the local and devalued currency. Employers who have tried to pay workers directly under the table have been arrested and jailed. Critical thought can fall under the categories of oral or written enemy propaganda and is punishable by prison. Also associating with persons with these ideas opens one up to a charge of "predilection to social dangerousness" and can also be imprisoned. Networks come in various guises. Transnational, regional or global networks and movements are political mechanisms of social organization. These networks are not hierarchical, with a low level of institutionalization and lacking a developed bureaucracy have a decentralized organizational structure. Although characterized by their "creativity", "horizontality" and "solidarity" which, in structural terms, involve the ability to adapt and facilitate participation, are neutral as to its purpose. They can be democratic or totalitarian. The pioneer in totalitarian networks was Wilhelm "Willi" Münzenberg, a man who shaped much of the 20th century and whose impact is still felt today. Münzenberg met Lenin in Bern, Switzerland in 1915. "Willi" already had an agent in the Vatican and was part of the original Bolshevik network that existed prior to the 1917 revolution. Following the arrival of the Soviets to power Lenin created the Communist International, KOMINTERN in 1919 as a means to disseminate the Soviet revolution and consolidate dominance of Marxism-Leninism over the global Left. The dictator proposed to join together the radicals of the world under a great network of Communist parties under the control of the Soviet Revolution. This was the instrument that Münzenberg used to organize cultural power. The first congress of the Communist International was held on March 2, 1919 and included delegates from communist or socialist parties from Russia, Germany, Austria, Hungary, Poland, Finland, Ukraine, Latvia, Lithuania, Belarus, Estonia, Armenia, France, Switzerland, China, Korea, Bulgaria, Switzerland, Sweden, the United States, Azerbaijan, Yugoslavia, and the Netherlands among other countries. Beginning in 1921 Lenin set up Münzenberg as the director of clandestine operations of propaganda aimed at the West. He organized the media: film, radio, theater, books, magazines, and newspapers. He was able to connect to and use all types of makers of opinion respected by the public: writers, artists, actors, priests, ministers, teachers, businessmen, scientists, and psychologists. The Münzenberg network was one of the key factors for the direction taken in political attitudes that operated in the 1930s. He manipulated and influenced public opinion using a network of writers and intellectuals such as: Ernest Hemingway, John Dos Passos, Lillian Hellman, George Grosz, Erwin Piscator, André Malraux, André Gide, Bertolt Brecht, Dorothy Parker to Kim Philby, Guy Burgess and Anthony Blunt. He organized protest marches, politicized writers conferences, politicized art festivals, ad hoc committees signed by famous celebrities for causes without end. These international networks don't just foment influence campaigns but also engage in concrete actions such as the murder of Leon Trotsky on Josef Stalin's orders. The Castro regime in the 1960s organized gatherings of international terrorists and communist guerillas in Havana to train and coordinate efforts to overthrow democratic governments around the world called the Tricontinental. The Castro regime also became involved in drug and arms trafficking to advance these ends. This led to the Reagan Administration placing Cuba on the list of state terror sponsors on March 1, 1982. The effectiveness of the strategies and tactics of Münzenberg to mold progressive public opinion remains effective today. The string of articles advancing the talking points of the Castro regime in The New York Times and the Associated Press, copies the old bolsheviks marketing and networking tricks. 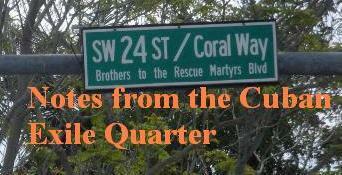 What we've witnessed over the past four years with the Castro regime is the successful outcome of one of three Münzenberg type campaigns: 1) freeing in December of 2014 the last of the five Cuban spies arrested in 1998 for acts of espionage, sabotage, and terrorism. 2) the international campaign to end the United States embargo on Cuba. 3) The most recent campaign to free Ana Belen Montes started up shortly after the last of the Cuban Five were freed by President Obama. We hear a lot about fake news these days, but it has a long pedigree. The New York Times has a shameful history as not only an apologist, but as a booster for totalitarians. Walter Duranty in the 1930s covered up the deaths of millions in Ukraine in a famine engineered by Stalin to eliminate those who resisted him and in the 1950s Herbert Matthews rescued Fidel Castro from obscurity in a series of articles. Both men wrote for The New York Times. The main difference from North Korea's Kim Jong-il and the Fidel Castro is the latter's ability to produce more effective propaganda and effectively use his agents of influence to repeat the message in mass media. Some of these agents of influence are in extremely high level positions in the US government not only shaping public opinion but providing information to the Castro regime that ended up getting US soldiers killed. For example Ana Belen Montes worked in the Defense Intelligence Agency (DIA) and spied for the Castro dictatorship from 1984 until her arrest in September of 2001. Nevertheless, when the average well informed person is asked about her nine times out of ten no one has heard of her. She is not the only one, another was Walter Kendall Myers, who had an important post in the State Department and also spied for the regime. Ana Belen Montes was recruited by Marta Rita Velazquez, once a legal officer at the Agency for International Development (AID). Rita Velazquez fled to Sweden, a neutral country, where she married a Swedish Foreign Ministry insider and avoided US justice. The Cubans also had CIA defector Philip Agee working for them. Agee defected and died in Cuba of old age. Some experts have come to understand how deep and comprehensive the Cuban infiltration of the United States government has been and are justifiably alarmed. Respected international human rights groups released reports on Fidel Castro's legacy that omitted some of the most egregious abuses of his regime shortly after his November 25, 2016 death. Amnesty International released a press release titled "Fidel Castro: A progressive but deeply flawed leader" and Human Rights Watch released one that read "Cuba: Fidel Castro’s Record of Repression Misguided US Embargo Provided Pretext for Abuse". 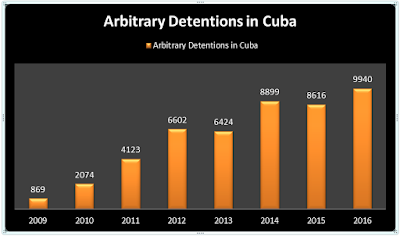 Both Human Rights Watch and Amnesty International address the lack of freedom of expression, harassment, intimidation and possible prison for speaking out against the Castro government but also go out of their way to praise the dictatorship with claims that are at best questionable. However there was no mention in either report of the political show trials that fell short of international standards that sent thousands of Cubans before firing squads or that this method of execution would continue until at least 2003. Amnesty mentions that Fidel Castro's provisional government carried out "hundreds of summary executions" in 1959 but doesn't mention that thousands more followed. There is no mention of how prisoners in the 1960s had their blood extracted prior to being placed before the firing squad. Nor was their mention that family members of the condemned had to donate blood to see their loved ones. 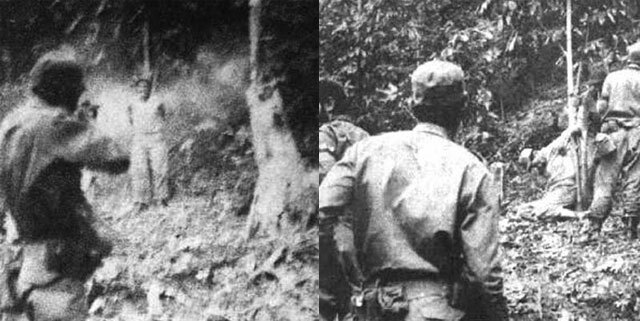 This practice was documented by the Inter-American Commission on Human Rights in its 1967 Country Report on Cuba. 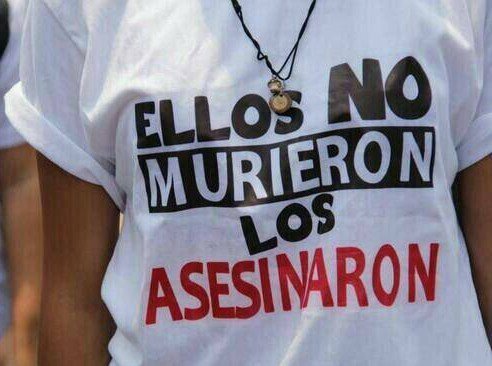 There was no mention of the extrajudicial execution of opposition leaders with Oswaldo Payá Sardiñas, and Harold Cepero Escalante on July 22, 2012 being two high profile examples. Nor of Laura Pollán's suspicious death a year earlier. There was no mention of the methods of torture used by the regime against prisoners of conscience including the denial of medical care. Nor the games played by the Castro regime to invite the UN Special Rapporteur on Torture in order to get positive media coverage but then not follow through. These are curious oversights because in the past both Amnesty International and Human Rights Watch had reported on these practices. There was no mention of the massacre of refugees by agents of the Castro regime for the sole crime of trying to flee Cuba although Amnesty International had documented it in the past. Meanwhile the Castro dynasty lives the lifestyle of the rich and famous but at the same time manages through its propaganda campaign to portray themselves as social justice warriors looking out for the poor. The reality is the exact opposite. The existing totalitarian order places Cubans in a dilemma. The Castro regime has destroyed Cuba over the past 58 years and at the same time has engaged in a propaganda effort abroad that has successfully painted the dictatorship in a positive light. 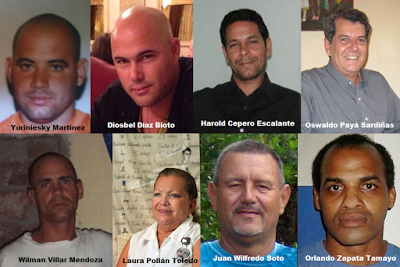 Cubans who speak the truth are imprisoned and murdered. Communism in Cuba has placed Cubans between a rock and a hard place. The family is worried, and does not understand the cruelty directed against him. 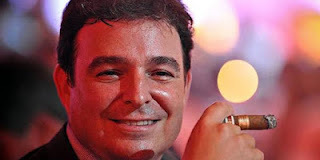 Send a message to the Castro regime: Free Eduardo Cardet!